Today is another good day in my blogging journey got paid $250 to ride just 250KMS on my own bike. After completing 4 years as a professional Blogger. I have decided to write my own blogging journey to help others to start blogging as a very serious career choice. This can be boring or a bit lengthy, as this is about me and my journey as a professional blogger till now. People are asking me that how much I am earning, here I am sharing what I have spend, to help you find the answer. My monthly expenses are around $1100. I must tell you that I do not include my investments in this. Other than that I have earned. Now you know that I have spend almost 2026756 Rupees ($31739) on regular expenses in 3 years and 2026756 Rupees ($39600) to buy above things. That means I have spent almost $71339 in 3 years. and spent more than $10,000 in year 2018. So if you are one of those passionate people who love blogging then you should read it, otherwise, you can check out the other topics of AskMe. This post is all about how I started professional blogging and how I have created a network of blogs and one after another successful blog. I have already written a lot about me on “about me” page. 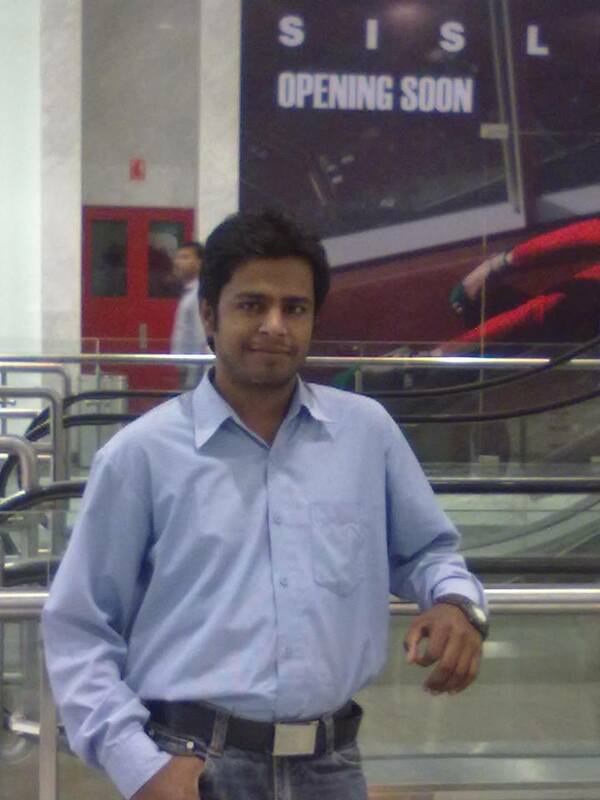 For new readers, I am Gaurav Kumar, Founder of eAskme. By education, I am an art student and by profession, I am a professional blogger. Today I will explain my story and you will know the important time of my blogging journey as a professional blogger. Getting back to my educational background, I had completed my graduation in ARTS stream in (2010). By the first four months, I understood the importance of branding in the online world. I bought a domain and hosting from Hostgator because of their best service. Here is the complete domain name guide for you to help to choose the domain name. In the beginning on eAskme, I was writing about only tech stuff that you may have seen on other blogs also, but later I started writing about my own experiences, Blogging, Wordpress, money making tips and designing tips. As I started writing everything that I have learned from my own experience, people started liking my blog. As I mentioned, I started blogging just to try new things. I had no idea how to make money with Adsense ow what is SEO. I was just a hobby blogger. After some time I have learned about AdSense one of the most popular contextual ad network. I read a lot of blogs about SEO and experimenting everything. I still remember how I earned my first $20 from Chitika. That was the very first online income I had received; after that, I started using Adsense and it turned me to make $500 in the very first month. Back in June of 2013, I quit full time job and started working as a professional blogger. It was not an easy decision for me as the hardest thing was to convince my family. But I made my decision and started working for what I liked to do. I started making good money to fulfill my daily needs and to make some good investment. I have created my very own blogging business plan and I decided to take eAskme to the next level. I have just purchased Kawasaki Z250 Super Naked Street fighter worth $5,481. Around January of 2014, I partnered with a Mohali-based blogger to take our blogging journey to next level, but things didn’t come up in a good way so I moved back to my own blogging goals. So I always suggest you avoid partnership as it hardly lasts. Till now my vision and dream and vision are to make blogging a full-time career choice and most popular online business in India. I have big dreams about my blogs and I will surely touch them with my dedication and love of my readers. I am currently managing many blogs on my network. It is not an easy task to work on multiple blogs and maintain a strong social media presence these days. You need to establish a team of professionals who can work on all blogs with complete dedication. What I look in a person before hiring is that he should do blogging for passion not just for money. I divide work in my team and set the target for them to achieve. I usually work on promoting 3-4 blogs at a time. This includes writing social media presence, commenting, guest posts etc. eAskme, iOS Crunch, WikiHealthBlog,are few of my latest examples. It is the dream of every company to grow as big as it can be and cover maximum market share. But the biggest problem is to find the best team. Your team determines the future of your online company or business. Currently, I am setting up the plan for my online business. "Earning" this word is the most interesting part of the life of a professional blogger. If I never quit my job then maybe earning only $5000-$10,000 per year. But with blogging and with my other online activities, I am making more than $50K every year, which is a good reason to quit my job. The very best thing I like about blogging is that I am my own boss now. I work whenever I want and work on what I love to do. I am sharing my story so you should take blogging seriously and make your decision. We will keep evolving as blogs to teach technology, learn to blog, SEO, WordPress, Hosting and how you can make money from home. I am offering personal blog consultancy program now to provide my services to those who want to learn blogging or want to make money blogging. Subscribe eAskme newsletter to get latest updates from me. You can join me on Facebook or Twitter. I have written this post because many people were asking a little background about me, and about eAskme. I will be sharing more posts on how my team works, and how you can grow along with eAskme. Meanwhile, do share if you have any feedback for eAskme or for me?